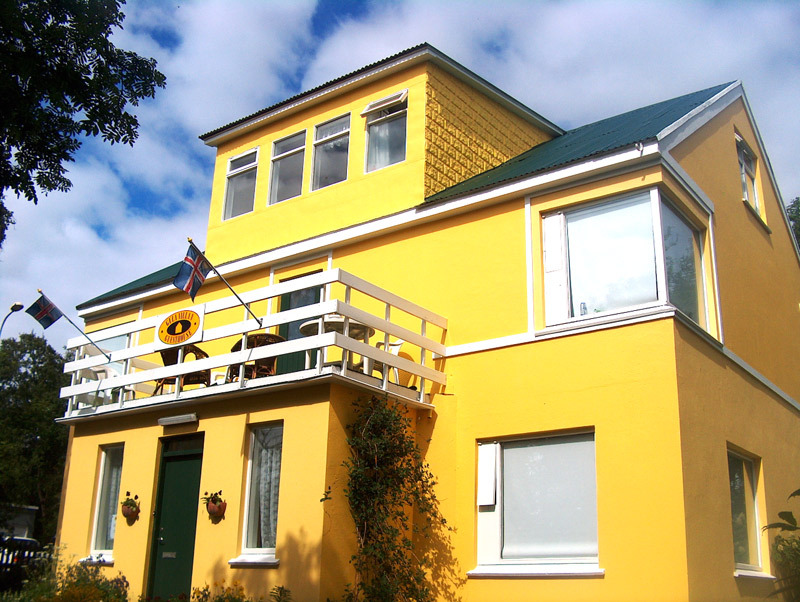 The guesthouse is found in two buildings; both located in a quiet neighbourhood near the town centre, one at Þingvallastræti 14 against the Akureyri swimming pool, and the other one at Brekkugötu 8 by the Town Square. The guesthouse offers made up beds in rooms with private or shared bathrooms as well as offering sleeping bag accommodation. 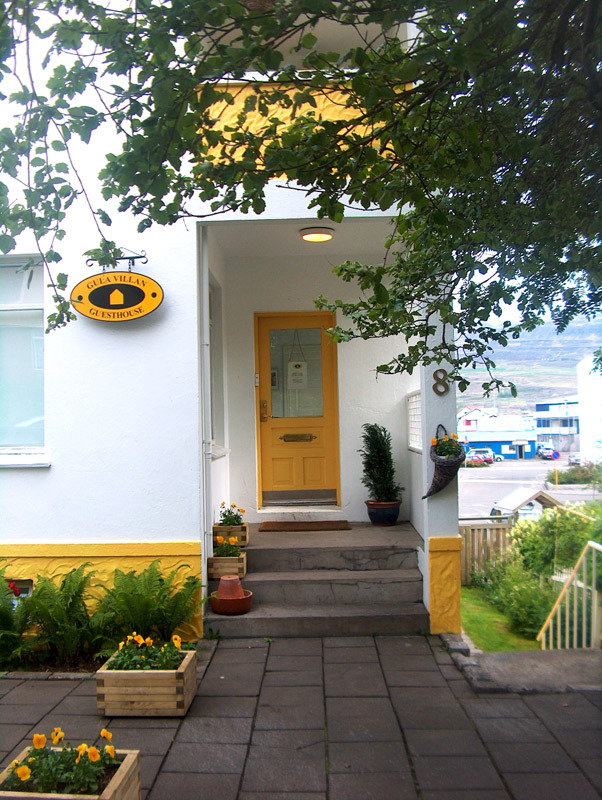 It is 400 metres from the Akureyri Bus Terminal and 200 meters from the Tourist Information Centre. The individual decorated rooms are warm and cozy, take one-five people and have free in-room Wi-Fi. The guests have access to a communal TV lounge, a fully equipped kitchen along with a furnished terrace/balcony. Gula Villan offers good breakfast baskets every morning and sometimes a breakfast buffet. Please notice that breakfast is not included in the room price. Free public parking is available by the guesthouse. The geothermal swimming pool and hot tubs of Akureyri swimming pool along with the Akureyri Botanical Garden are only a few minute walk away. Variety of Shops, restaurants, cafes and bars and are also found with in 5 min walk and Akureyri Airport is a 5-minute drive away. We will do our best to make sure your stay is as pleasant and comfortable as possible. Sigríður María Hammer and Páll Steindórsson. Please call us or send e-mail for booking and more information.